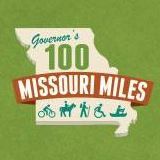 The list below represents all bicycling, walking, hiking, running, and trails-related groups, organizations, and clubs in Missouri that we know about. If you would like your club or organization listed here, or if your information needs updating, please contact webmaster@mobikefed.org. If your club or organization is not yet a Federation member, or your membership is expired, you can join or renew here. All bike shops that are Federation members should be listed here--if yours is not, please contact webmaster@mobikefed.org.